In this economy?! Girl, please. I can do that at home! According to an article published by economist.com, Goldman Sachs analysts estimated that in 2003 the skincare industry was worth $24 billion globally and was projected to grow at a rate of 7% per year. Don’t get me wrong, I value the people that work in the beauty industry, but sometimes my budget doesn’t allow for “extras.” Sometimes a girl has to tighten her belt and put a little ol’ fashion elbow grease into her beauty routine. I do enjoy being pampered, who wouldn’t? All I’m saying is that it’s not always possible or convenient to get to a salon. Some readers will say, “But what about the time convenience?” Please. By the time you’ve found time to make an appointment, driven to the salon, waited to be seen, had forced conversations with a stranger and then tipped that stranger for a “pleasant” experience, you could have done any of the following beauty trends yourself. Incorporating these steps into your normal beauty routine is easy enough and the savings are incredible! If you are like me and would rather save money by investing a little time, patience, and practice then here are some great videos to get you started. Katie Miles, owner of All Eyes On You, shows how the professionals perform a basic manicure in this video. You can by a GEL kit that includes a LED lamp and polish for $45 on Amazon. I’ve spent that same amount on service plus tip in one trip to the salon! It just makes sense to buy the kit and have it handy for when you need it instead of trying to find time to get to a salon. HeyKayli has a great DIY video for getting beach-worthy feet. No polishing in this tutorial, but the steps are similar to a manicure. This first video, from Makeup School, is a tutorial on how to execute a professional facial. The techniques can be applied at home and on yourself. Notice how this aesthetician massages each product up and out, never pulling downward on the face. Pulling downward is just asking for saggy skin later. Also, notice that she uses her ring finger, which applies the least amount of pressure, on the delicate skin of the under-eye area. When it comes to masks for skin care I look to the East. I am a huge fan of Middle Eastern and Asian beauty techniques. Here are some of my favorite videos that incorporate ingredients that you can easily find in your kitchen or at practically ANY grocery store. First secrets from the Far East! This gorgeous Indian woman, known as Mr. Jovita George, introduces one of my favorite ingredients— gram flour; also known as besan, chickpea flour, and even garbanzo bean flour. Gram flour, honey, and lemon are all you need for this glowing skin recipe! In this second video by Jovita George, she shares another amazing ingredient—turmeric. Jovita touts its pigmentation reduction for erasing acne scars, but my favorite part is the seriously healthy glow that you’ll be left with. She also mentions turmeric’s cancer-fighting quality which scientists have been studying for years in Asian countries. Check it out! I love this video from Michelle Phan! Exfoliating my lips has made a huge difference, leaving them kissably soft. Seriously. You may think you know how to wash your hair, but when is the last time you checked the effectiveness of your routine? After years of repetition, your streamline routine may have become, well, lazy. From the experts at The Style Garage, here’s how you should be doing it. My favorite tip: rinse conditioner with cool or cold water to seal in the conditioner. My favorite exfoliator is baking soda. It’s so cheap and I always have it on hand. Rumor has it that Cleopatra, Queen of Egypt, used baking soda— known to her as Natron— in her beauty routine. Natron is not exactly baking soda, but they can be used interchangeably. You may be able to find Natron in the U.S., but most likely baking soda will be more convenient for you. Check out this testimonial (below) from Christine Kobzeff. Christine also shares other Cleopatra beauty recipes in this video. I have a love/ hate relationship with moisture. Too much and I’m a greasy mess, but too little moisture and I feel like a shriveled prune. The one winter I spent in Chicago was completely unbearable; which is so sad because it was actually quite beautiful! I couldn’t even smile because I thought I might crack! Atmospheric humidity isn’t the only factor in keeping your body hydrated. I now drink plenty of water and have a new “secret” weapon— homemade lotion, free of chemicals and especially free of alcohol. This year I’m happy to say that by treating my skin kindly I was able to survive quite comfortably visiting Austin, Texas, during the winter (basically, the desert with zero humidity)! I tried several recipes before I found the one I love. This video by Mariah Dolan is by far my favorite tutorial. FYI, the lotion is more of a body butter consistency, which I happen to love. Buying these ingredients in bulk will save you hundreds of dollars each year. Enjoy! Coffee, honey, and water are all you need for this amazing treatment. Kalasini Nibin shares her tip for getting rid of dark circles and puffy eyes with ingredients you may already have on hand. Another great video by Michelle Phan. Check out these tips for shaping the perfect brow! I’ve saved this topic for last because it’s a big challenge to learn how to wax at home. It’s so worth it if you are up to the challenge. I’m not quite an expert yet and I’ve definitely made some painful mistakes, but the results are encouraging. With practice, you too can be waxing like a pro! Here are some great videos for waxing at home. My favorite tips are to stay calm, don’t be in a rush, and start with small sections. 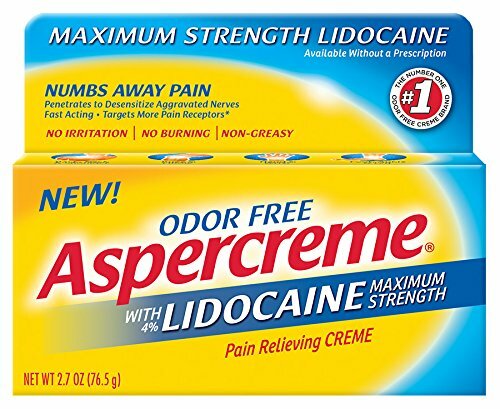 You can also take an aspirin 30-45 minutes before waxing or use a lidocaine topical treatment, such as Aspercremewith lidocaine, an hour or more before to dull the pain. Brittney Gray does a great job in her underarm waxing tutorial and the information is pretty much the same for waxing the rest of the body. Yes, you can achieve waxing bliss on practically ANY area of your body. You may need to convert your yoga moves to get the perfect angle for some areas! I use Gigi products which are available at Sally’s Beauty Supply. Click here for their professional waxing videos. One waxing treatment can cost up to $60 plus tip whereas a kit like mine cost $35 on Amazon, including the warmer and enough wax for multiple treatments. This is a no-brainer in my opinion. I hope you found this information useful and that it helps you save tons of money! In all honesty, I still treat myself to a salon day every once in awhile, but having the skills to do these treatments at home is a lifesaver for the times that I can’t. Good luck and don’t forget to leave a comment about your favorite low-cost beauty secrets! Believe it or not, one of my favorite beauty tips is shaving my face. (It’s a Japanese custom.) This practice is a great way of exfoliating. I also make my own creamsicle sugar scrub using simple ingredients like essential oils (which are a bit pricey, but they last forever), plain white refined sugar, and coconut oil. Keeps my hands glassy smooth! Great suggestions! I’m a fan of the Tinkle face razor for brows and face and coconut oil is a staple at my house. So many uses!